If you enjoy fast-paced, post-apocalyptic survivor stories like The Day of the Triffids, The Road, Station Eleven, The Stand, and The Atlantis Gene, you’ll love The Hurst Chronicles series. 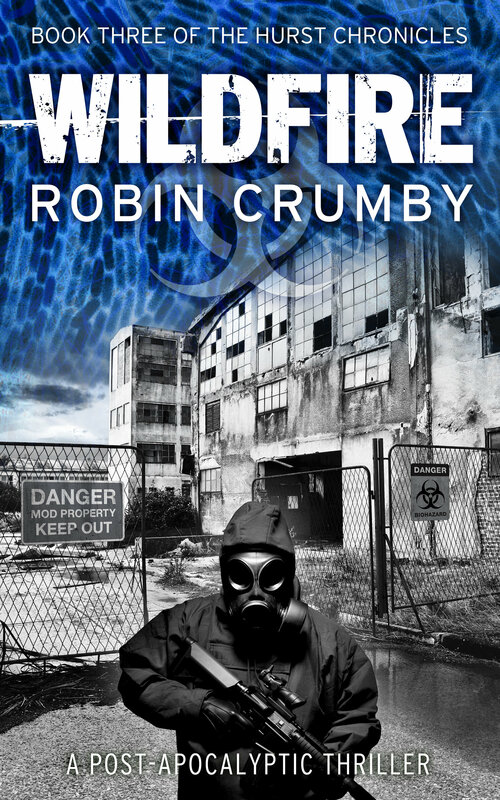 I wanted you to be the first to know that…Wildfire – book three in The Hurst Chronicles series is now exclusively available on Amazon for the soft launch price of $2.99 in the US and £1.99 in the UK. This offer lasts until September 30th, so grab your copy today. “Best book in the series so far… the multiple story lines keep you on your toes”, “more action and intrigue”, “a can’t put down page turner with fast-paced action, twists and turns”, “probably my favourite so far”. So what can I tell you about Wildfire? An unstoppable virus. Humanity’s last stand has failed. In the aftermath of a devastating flu pandemic, a military-led relief effort is evacuating UK survivors to a mass quarantine zone on the Isle of Wight. In the political and moral vacuum that follows, refugees trade their freedom for food and a fresh start. Riley and the others from Hurst Castle have relocated to a hotel on the clifftops of Freshwater Bay. To keep her promise she must leave the relative safety of their new home to search for Zed’s daughter on the other side of the island, witnessing first-hand the at-times brutal repression of the civilian population. Colonel Abrahams’ investigation into the causes of the pandemic leads Zed back to the bio-weapons research facility at Porton Down to interview Ephesus, the archivist with detailed knowledge of Porton’s century-long experiments with chemical and biological agents. After her kidnap from Osbourne House, Terra remains embedded with Briggs and the rebel group, helpless to stop their attempts to disrupt Allied reconstruction efforts. As more locals rally to the rebel cause, the prospect of civil war seems unavoidable. Look forward to hearing what you make of book three. Happy reading. Grab your copy now for just $2.99 in the US or £1.99 in the UK before September 30th. P.S. If you haven’t already, I’d be really grateful if you can leave an honest review for books one and two on Amazon US or Amazon UK or Goodreads.